The dinner party you’ve been planning for weeks is in an hour. The table’s set, your grandmother’s famous sauce is bubbling on the stove top...and then it hits you: you remembered the eggs for the pasta, but you forgot to buy marijuana for the festivities. Normally this would be a job for the SO, but they’re currently dropping your daughter off at her BFF Jill’s house for the night. Leaving the house isn't an option, so what’s a cannabis enthusiast to do? Order a marijuana delivery from Caliva, of course. What is Caliva’s delivery range? We deliver North up the Peninsula to Burlingame and to Union City in the East Bay, South to Morgan Hill, East to Milpitas and West to Saratoga. View the delivery map. Do I have to be a Caliva member to order delivery? Yes, delivery requires that you become a member of Caliva. You must be 21 years old, and you'll need a valid driver's license to sign up. You can place an order immediately after registering. 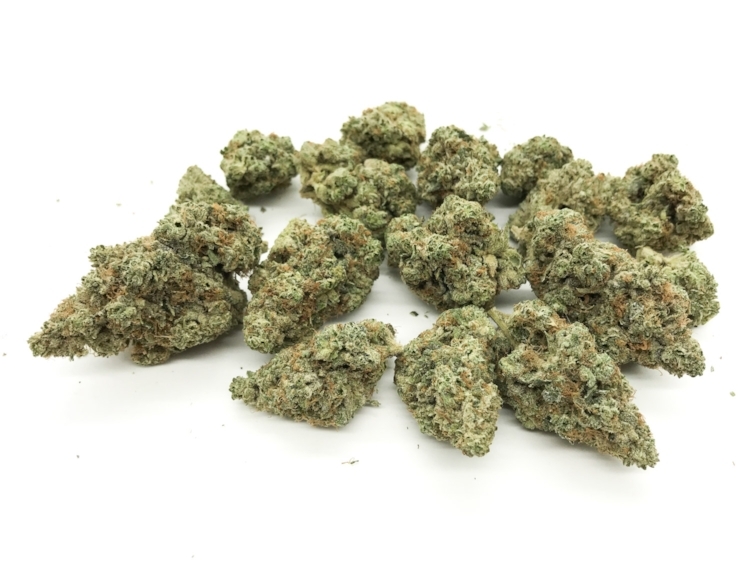 How much cannabis can I order per delivery? You may order no more than one (1) ounce of flower and eight (8) grams of concentrates (oils, wax, etc). There are currently no delivery limits for edibles (measured in milligrams). Caliva Collection Black Jack is available for both delivery and in-store pickup. Does Caliva require an order minimum or charge a fee for delivery? There is no delivery fee, but all orders must meet a minimum order amount based on delivery location. 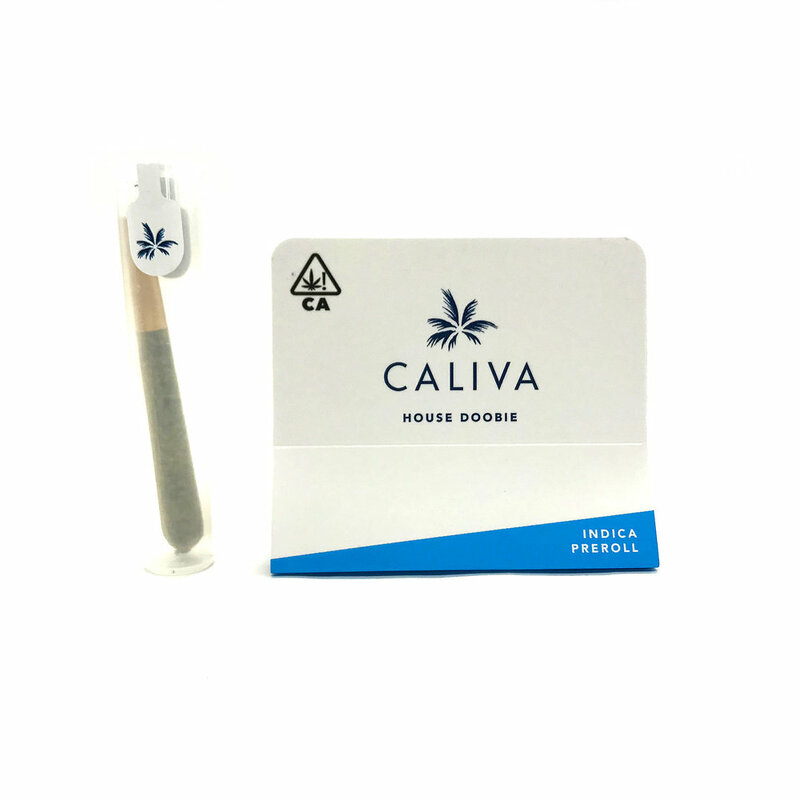 Caliva House Doobies are available in Indica, Sativa and Hybrid. You hit the minimum order amount, so you’re ready to check out. Select Delivery from the options, input your information and click Place Order. How long will it take to get my delivery from Caliva? Delivery times vary based on the time of day and your location. It could be as soon as 30 minutes if you live in San Jose and order at 3 pm, or it could take 90 minutes if you live in Morgan Hill and order at 5 pm. Please plan accordingly! Not at this time. Orders are fulfilled in real time during set delivery hours (3pm-10pm). Can I edit my order after it’s placed? Yes. Please call Delivery Support at (408) 209-1106. Can I change my address after my order is placed? No. Sorry folks, this one’s final. Our driver will head to the destination you entered when you placed your order. Please make sure you’re there to receive it! You are responsible for being present for deliveries. Missed deliveries may lead to termination of membership. We reserve the right to refuse service to anyone. Of course you typed in the correct address. Never doubt yourself. As you’re stirring the sauce, your phone beeps. It’s a message from Caliva, with a link to track your delivery driver’s progress. Once we have assigned your order to a driver, you will receive an email/text notification that will allow you to follow the driver’s route! We do our best to leave you informed while not inundating you with too many notifications. Are my neighbors all going to know that I just ordered pot? Our delivery car is a discreet vehicle with no external branding or messaging. Deliveries come in the same child-resistant exit bags we use in-store. Your privacy is important to us. Caliva exit bags are discreet and child-resistant. How do I pay for my delivery? Do I need exact change? We accept cash only at this time. You’ll receive a total at checkout, and exact change is required. Our drivers do not carry change. Do I still need my ID when I order a delivery? Yes. Your delivery driver will check your government-issued ID to verify your identity. And legally, we are only allowed to deliver cannabis to Caliva members. So there you have it - you just got your very first bundle of joy from Caliva. Whether you’re interested in marijuana pens, edibles or classic top-shelf flower, Caliva’s got something for everyone. Place an order today!